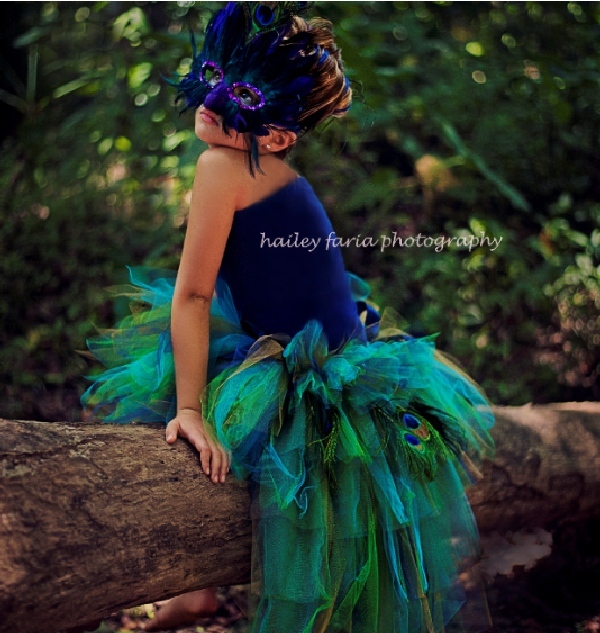 Girls Teen Peacock Bustle Tutu, Halloween Peacock Tutu Costume. 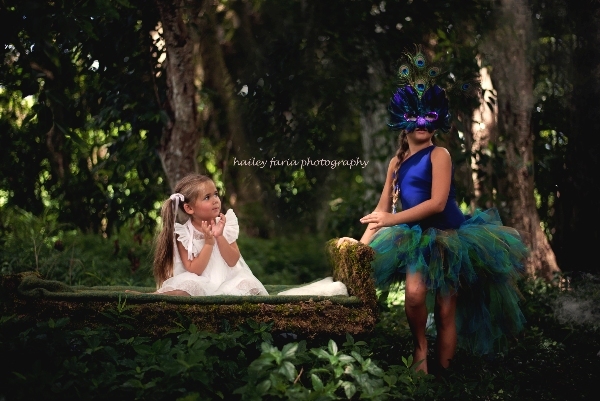 This girls peacock inspired bustle tutu is stunning in shimmering gold, turquoise, navy and emerald green tulle, and features a gorgeous peacock feathered bustle, two satin bows at the sides, and your choice of front tutu length. 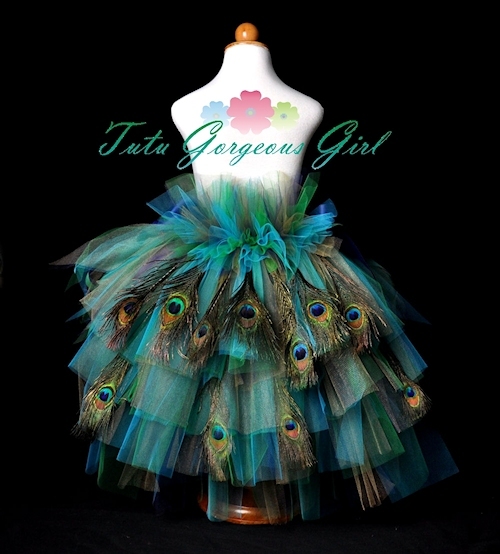 Tutu length is for the front portion of the bustle tutu and is offered in a 12 inch length for shortest, 16 inches for mid length, and 20-22 inches. *20-22 inch front tutu no longer offered for Halloween. 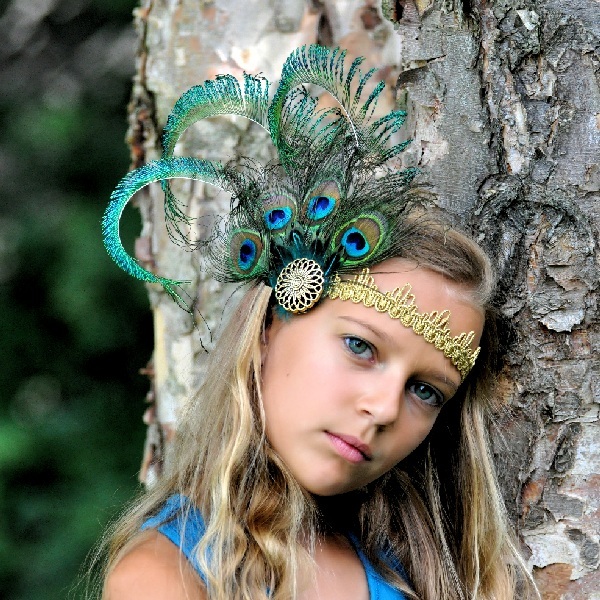 Bustle features two full rows of peacock eye feathers (14-16 feathers depending on size ordered). 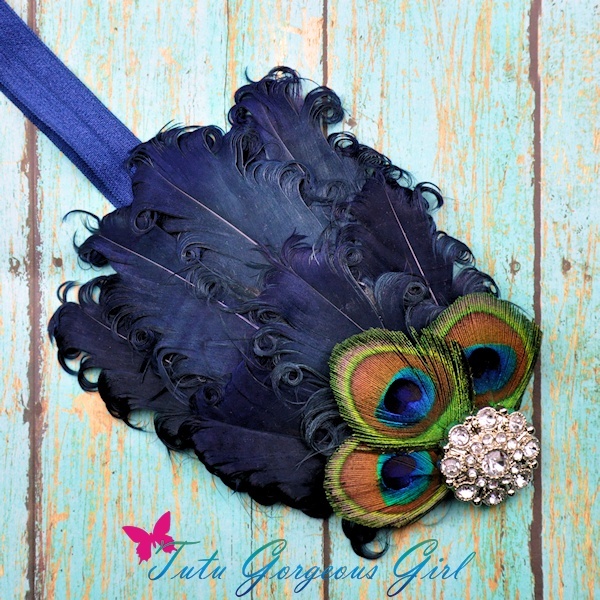 An extra row of feathers can be added to your order.